When reflecting on the music scene of San Francisco's Haight-Ashbury district in the late Sixties, most will remember Jefferson Airplane and the Grateful Dead, or even Steppenwolf because of that rather large hit. 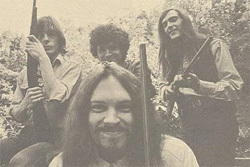 But one should also consider Quicksilver Messenger as well, a band bending traditional blues into contemporary rock. 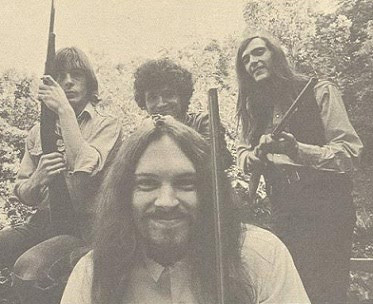 Quicksilver Messenger Service: circa 1968. Live at the Fillmore June 7 1968 finds the band at their earliest peak playing at the iconic Fillmore East, run by the legendary Bill Graham. Having never heard QMS, listening to this album one would think that they mostly, or merely, a cover band playing classic blues numbers in a psychedelic rock wrapper. Of the twelve songs here only five are original numbers, many penned by guitarist Gary Duncan. The seminal blues songs include Howlin' Wolf's Smokestack Lightnin', Bo Diddley's Mona and Who Do You Love, and the classic Willie Dixon song, Back Door Man. The originals are Dino's Song, written by founding member Dino Valenti, Light Your Windows, Calvary, Acapulco Gold & Silver, and The Fool. Much like cousins, the Grateful Dead, these songs were performed in a jam band fashion, free form merged or erupted from the usual order of the song. They were also performed in the context of the day which means often under the influence simple narcotics like marijuana to more mind altering provocations like LSD. It was the Sixties after all, 'Turn on, tune in, drop out,' Timothy Leary suggested. 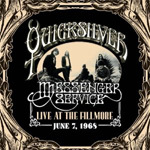 Fundamentally, however, Quicksilver Messenger Service is the quintessential blues rock jam band, who paved they we for many to come, and Live at the Fillmore June 7 1968 captures them in space and time. Recommended. Fundamentally, however, Quicksilver Messenger Service is the iconic and quintessential blues rock jam band, who paved they way for many to come, and Live at the Fillmore June 7 1968 captures them in space and time. Recommended.